Applying for a SR Scholarship is EASY! To help provide a better future for children, school readiness programs have been designed to prepare children ages birth to 5 for school, particularly those from income-eligible families. These programs, funded by the coalition, serve as a preventive measure for children at risk of future school failure. Priority participation is given to: children who have been determined to be at risk of abuse, neglect or exploitation, and whose parents are economically disadvantaged. Many studies suggest that changes which improve family, caregiver and neighborhood circumstances in the earliest years of a child’s life have the best chance of putting a child on a strong developmental path—emotionally, intellectually, and socially. And that’s a win for us all because those investments can yield a healthier, safer, better educated, more prosperous and more equitable nation. To obtain a FREE School Readiness Provider Listing within Seminole county, contact our CCR&R Specialist at 407-960-2468. School readiness of a child is a family affair. School readiness and success does not mean much unless parents are at the heart of their children’s success. 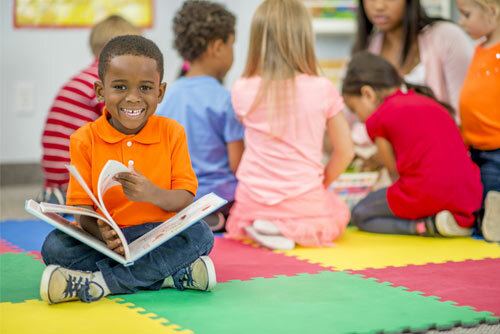 State-financed school readiness programs and the monitoring of these programs provide a safe and stimulating environment for children to learn, but learning also takes place at home where parents become the teachers. Parents can help their children develop socially and emotionally, by serving as role models for their children, showing respect to others, and building up their child’s sense of personal effectiveness with encouragement. Parents can also teach children such important social skills as sharing and getting along with others. To see if you are eligible for the School Readiness Program, please visit the Family Portal.